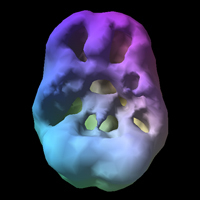 SPECT scans of substance abusers have demonstrated many abnormalities in brain areas known to be involved in behavior, such as the frontal and temporal lobes. On brain SPECT images, there are some similarities as well as differences in the damage we see caused by various substances of abuse. The most common similarity is that the brain has an overall toxic look to it; the SPECT studies look less active, more shriveled, less healthy overall and have a scalloping effect – a wavy, rough sea-like appearance on the brain’s surface. This pattern is also seen in patients who have been exposed to toxic fumes or have had oxygen deprivation. 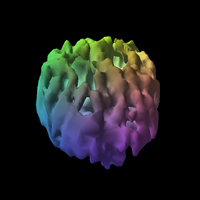 Normal brain patterns, on the other hand, show smooth activity across the cortical surface. Cocaine and methamphetamine abuse appear as multiple small areas of decreased activity across the cortical surface. 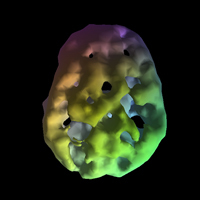 Heroin abuse appears as marked decreased activity across the whole cortical surface. 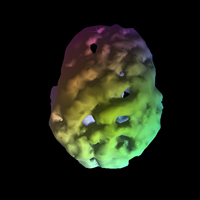 Heavy marijuana abuse shows decreased activity in the bilateral temporal lobes and prefrontal cortex. These findings can improve with abstinence, although long-term use has been associated with continued deficits seen on SPECT, even after years of abstinence. SPECT images can help break though the denial that often accompanies substance abuse by showing the actual damage caused by the drug or alcohol abuse. SPECT can reveal any underlying neuropsychiatric condition that also needs treatment. 16-year-old with 2 year history of daily abuse. 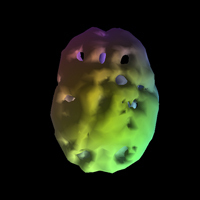 Marked decreased prefrontal cortex and temporal lobe activity. 39-year-old with 25 years of frequent heroin use. Marked overall decreased activity. 52-year-old with 28 year history of frequent meth use. 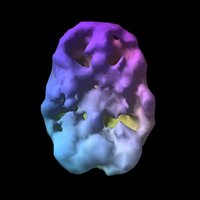 Multiple areas lacking blood flow on cortical surface. 38-year-old with 17 years of heavy weekend use. 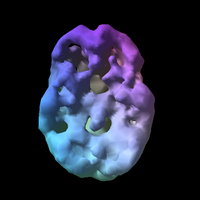 Multiple areas lacking blood flow on cortical surface. 48-year-old with 22 years of daily use and history of past head injury. Here we see the effects of drug and alcohol abuse - specifically alcohol, cocaine, and meth.